With every wiggle, the gardenbugs rattle! Crinkle and rattles awaken auditory awareness. 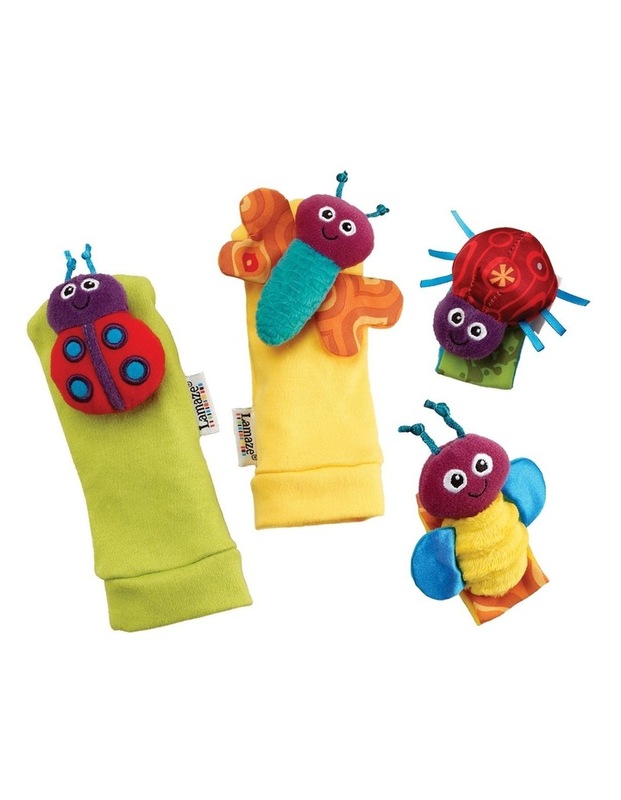 Multi-textured bugs invite baby to explore, stimulating tactile senses. Kicking and reaching awaken baby's muscles. Smiling faces engage baby's vision and focus.